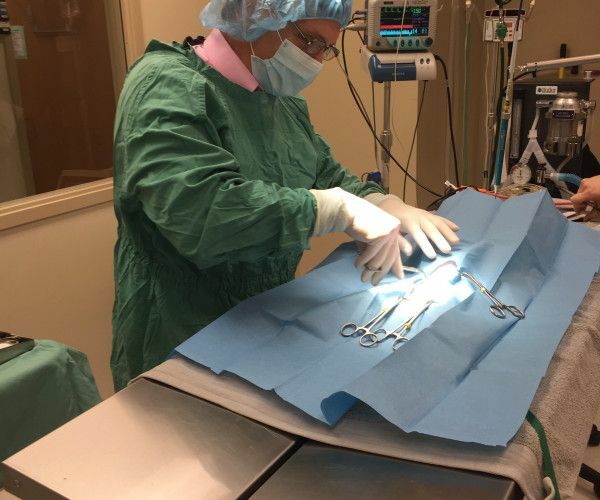 Our surgery suite contains all new anesthesia machines for 2 types of gas anesthesia, so we can tailor the anesthesia to your pets’ needs. 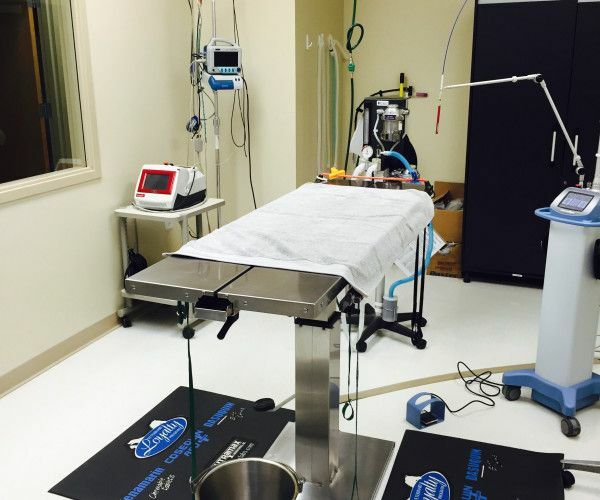 We also feature the newest anesthesia monitoring equipment and a heated surgery table. Patients are connected to EKG, respiratory, blood oxygen and blood pressure monitors, just like in a human hospital. We use only the safest anesthesia and provide pain relief medications for your pet’s comfort. 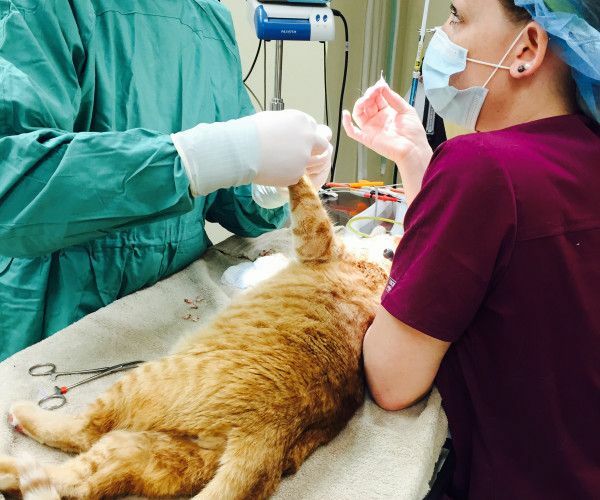 Clients are notified on the status of their pet following surgery. Patients receive around-the-clock nursing care. Clients are encouraged to visit their pet during business hours and can always check on their pet’s status with one of our nurses at any time.